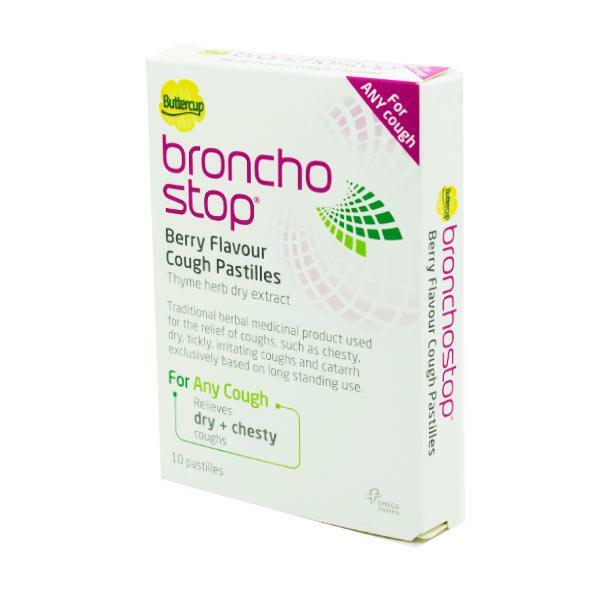 Buttercup Bronchostop Cough Syrup is a traditional herbal product used in the treatment of chesty, dry, tickly and irritating coughs. This non-drowsy medication contains Thyme herb dry extract. Adults and children over 12 years, take 1-2 pastilles every 4 hours up to 4 times a day. If required, up to a maximum 12 pastilles can be taken per day. 1 pastille contains, 59.5mg of dry extract from Thymus vulgaris and Thymus zygis. This medication should not be used if you are pregnant or breastfeeding unless advised by your doctor.